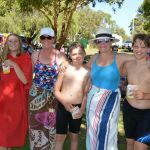 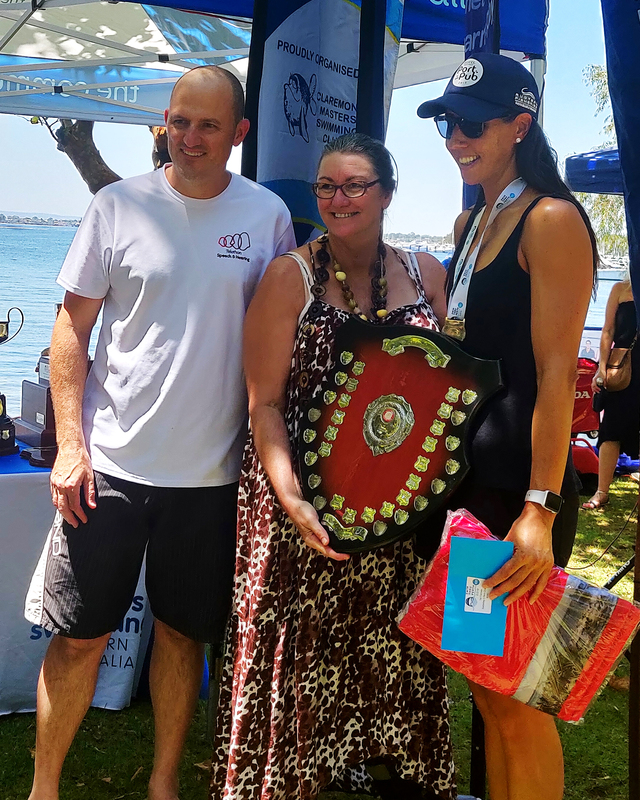 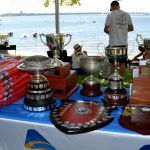 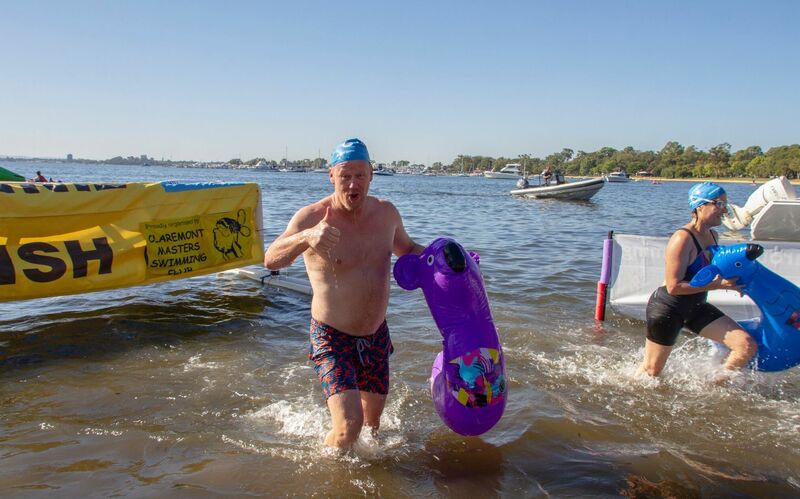 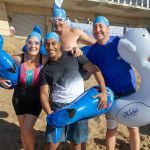 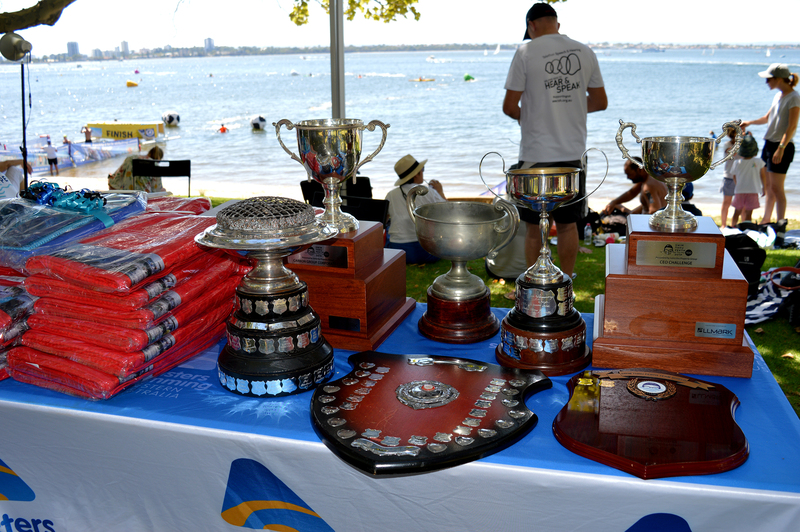 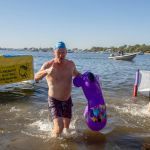 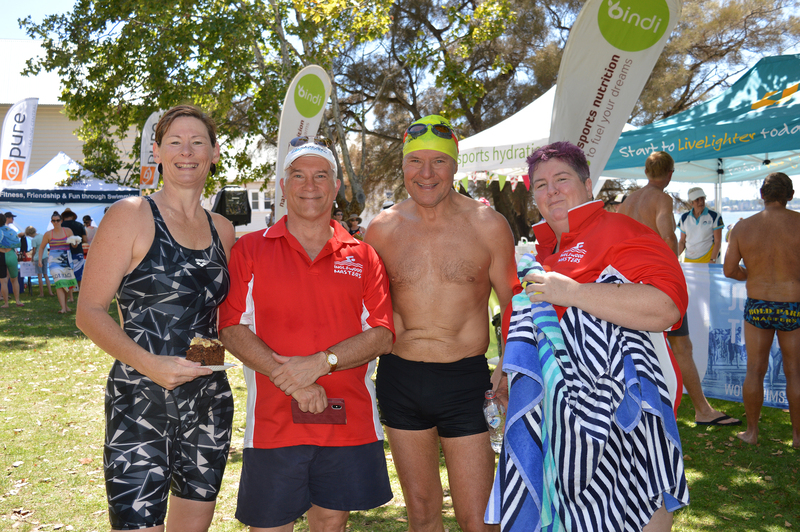 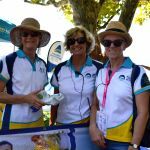 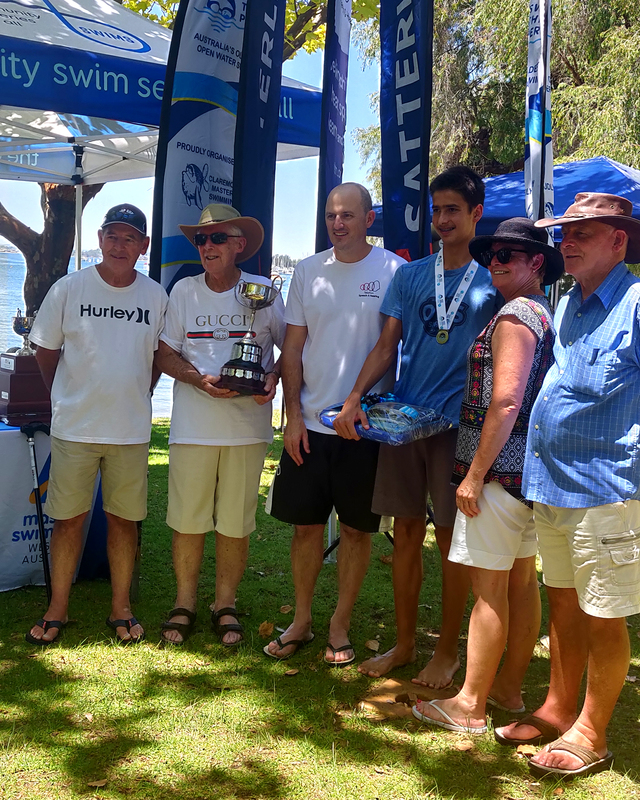 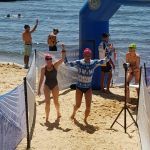 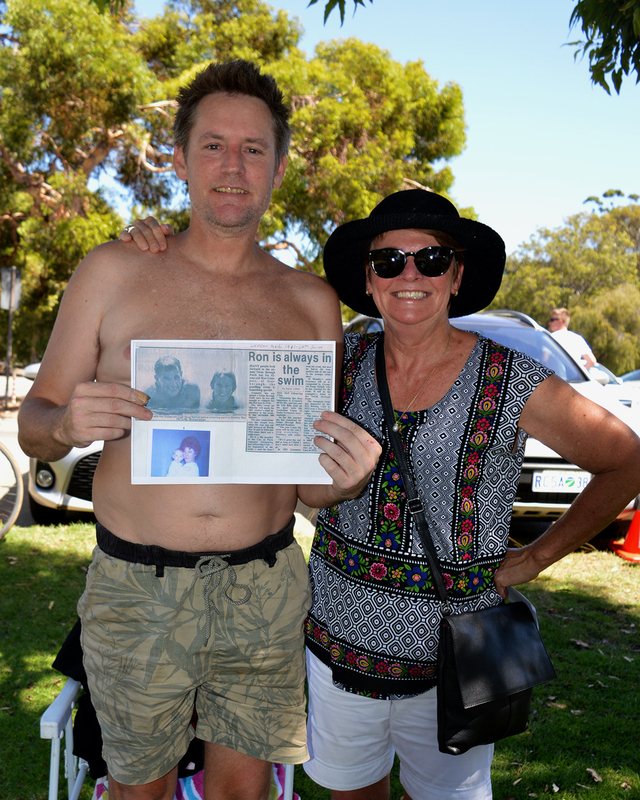 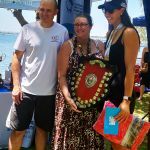 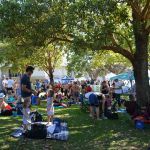 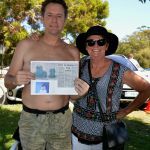 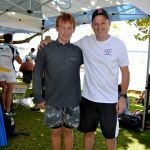 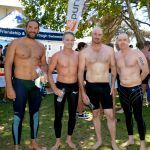 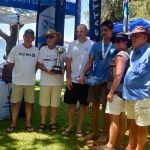 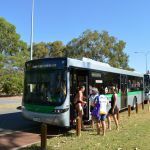 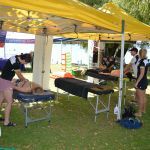 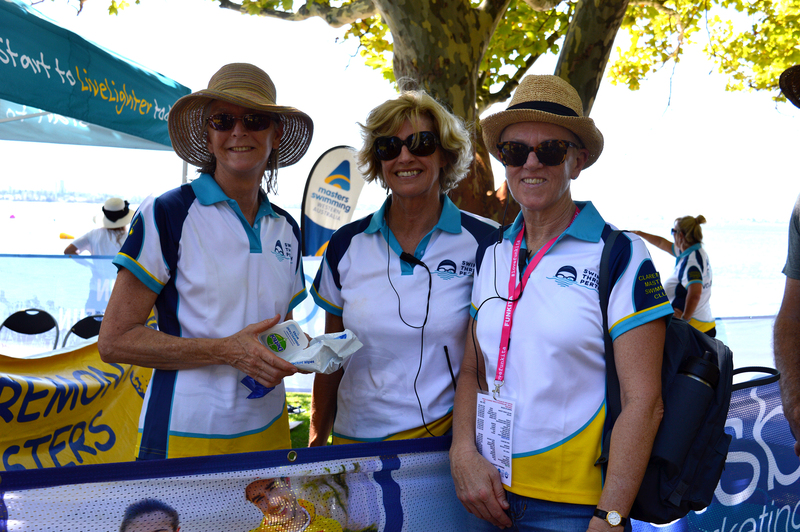 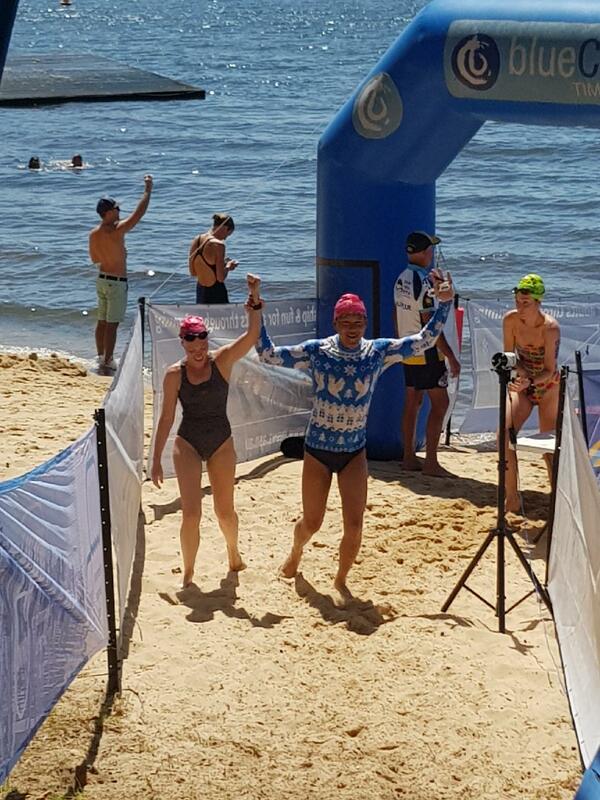 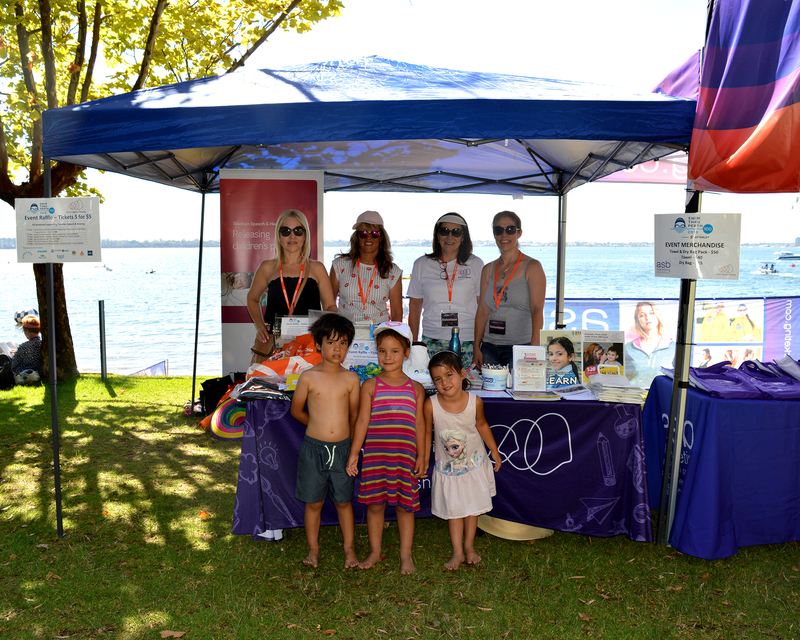 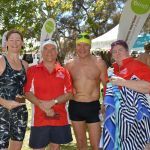 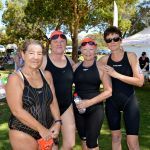 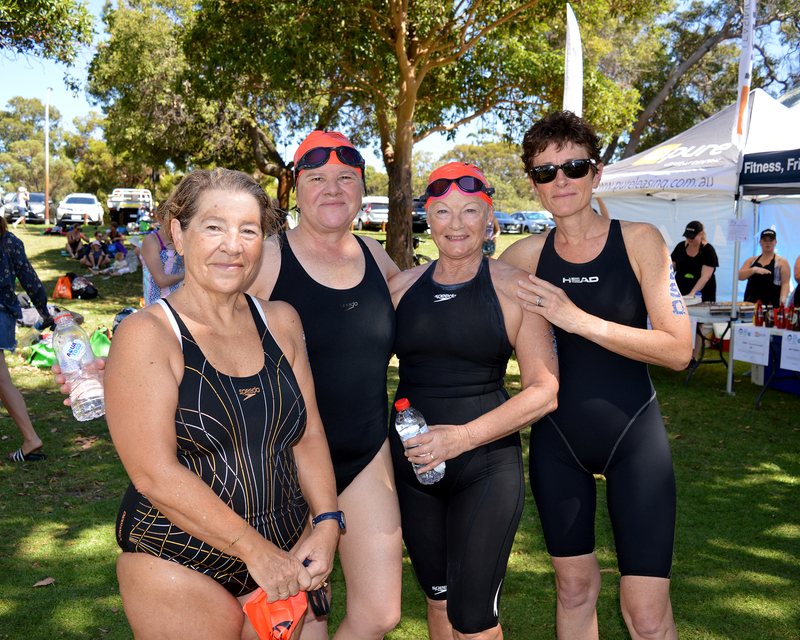 Telethon Speech & Hearing was thrilled to be a part of the Swim Thru Perth’s milestone 100th swim on Sunday, 20th January 2019. 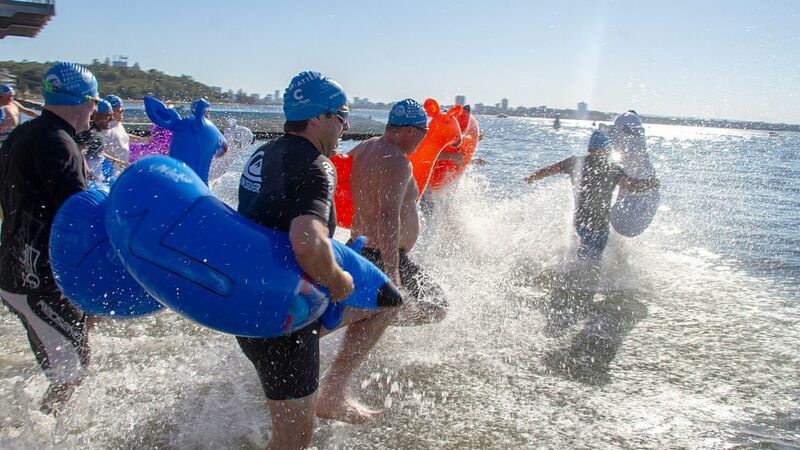 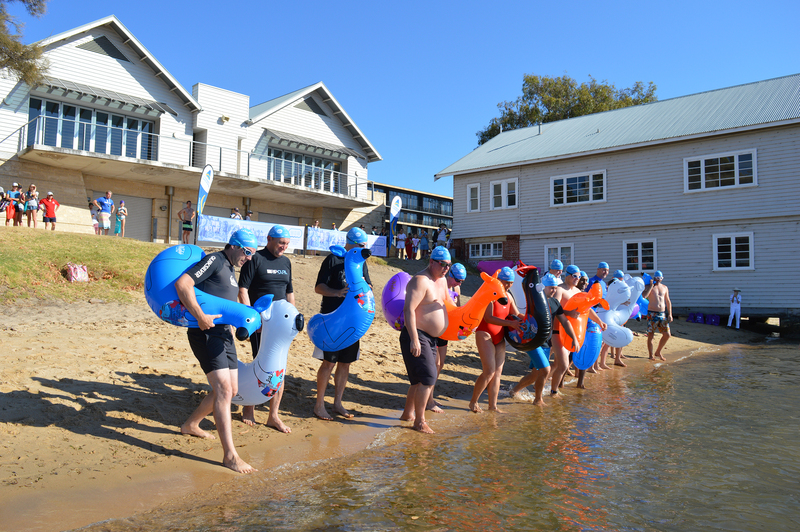 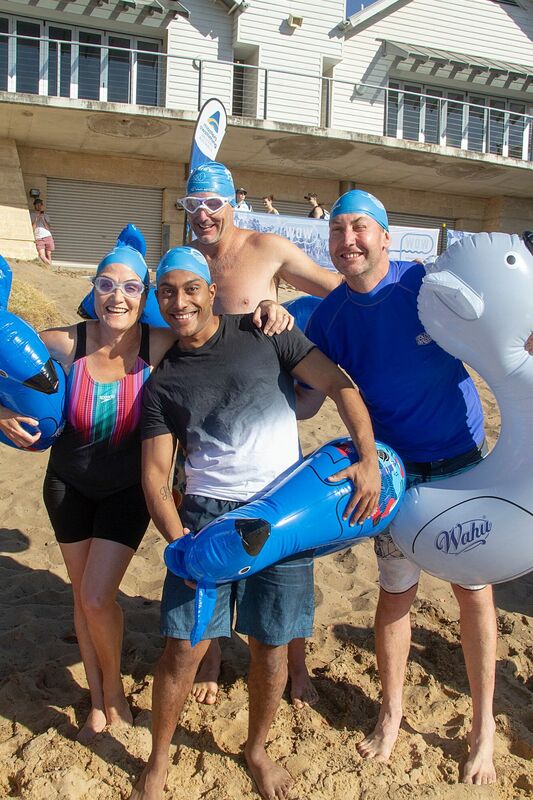 Over 400 participants signed up to make history in Australia’s oldest open water swim event, including 16 philanthropic business leaders who joined us for some fun in our inaugural CEO Challenge race. 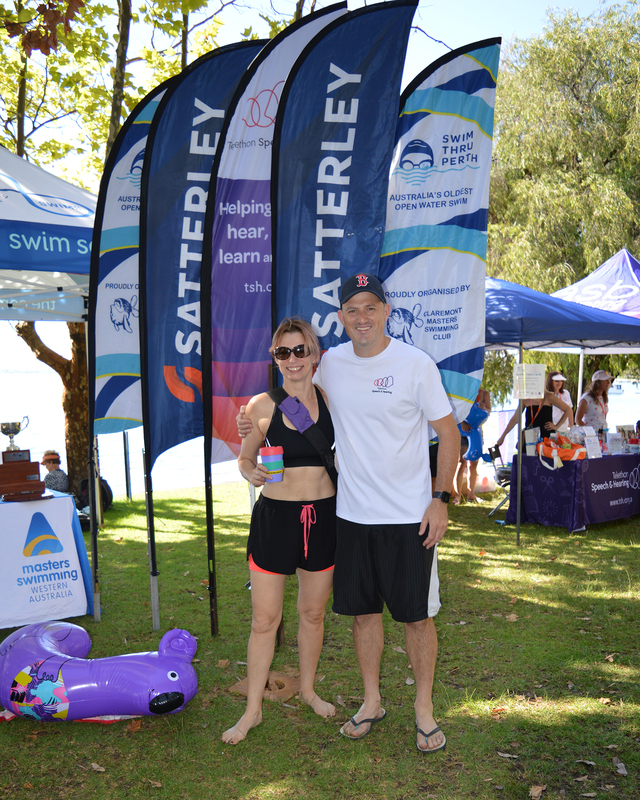 TSH Head of Hearing Services, Philippa Hatch completing the 3.5km swim alongside her husband Kevin. 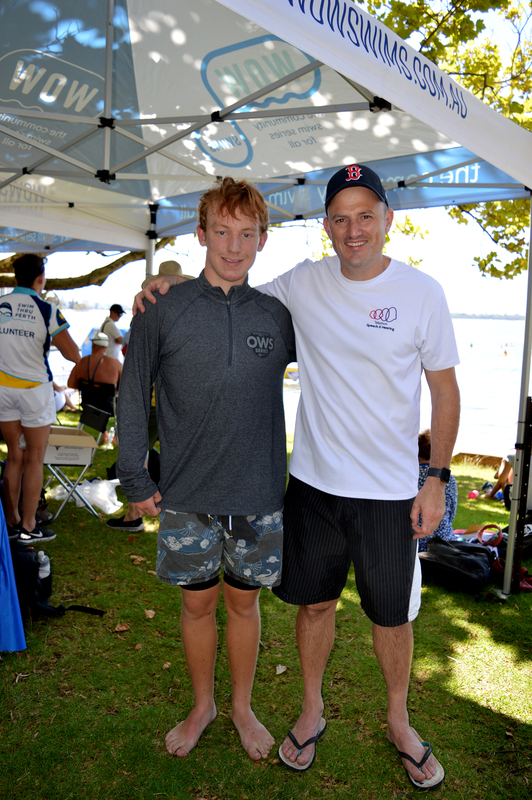 Former Outpost student Izaac Coubrough placing 3rd in the 1.6km race. 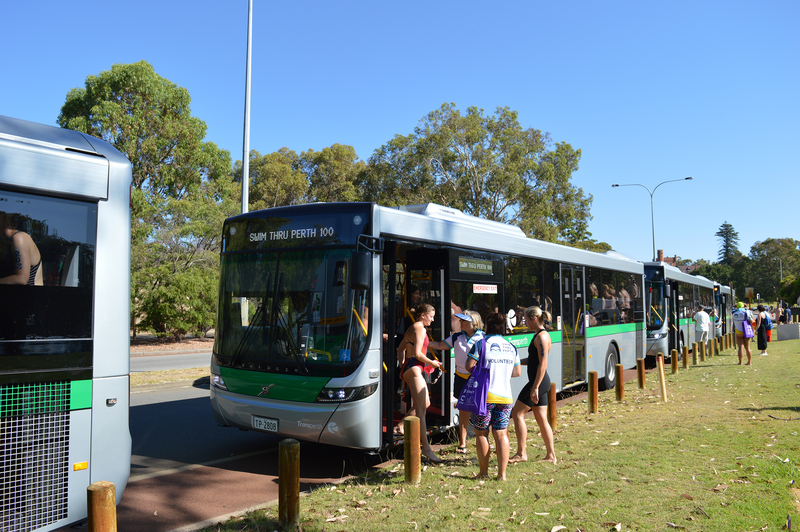 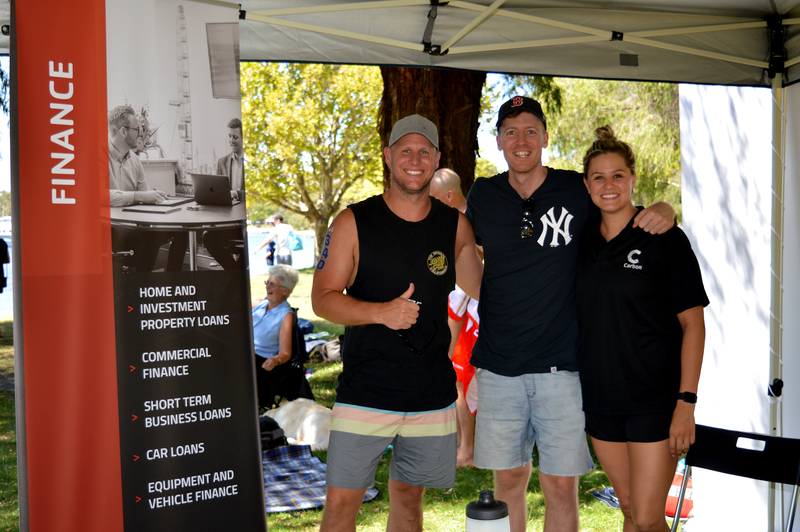 The inaugural CEO Challenge Race with James Back from Reconciliation WA finishing in first place. 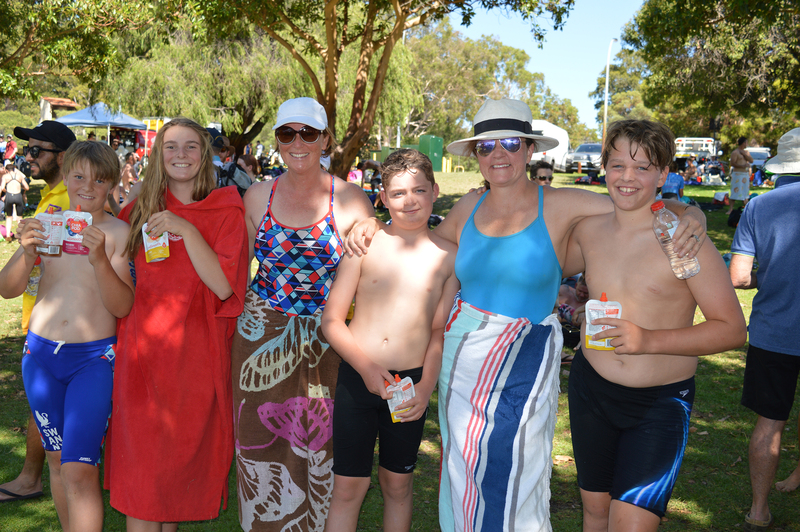 All volunteers, organisers, swimmers and families coming together for a celebratory BBQ after all races. 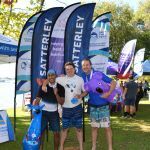 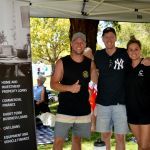 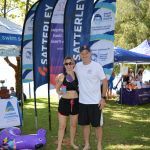 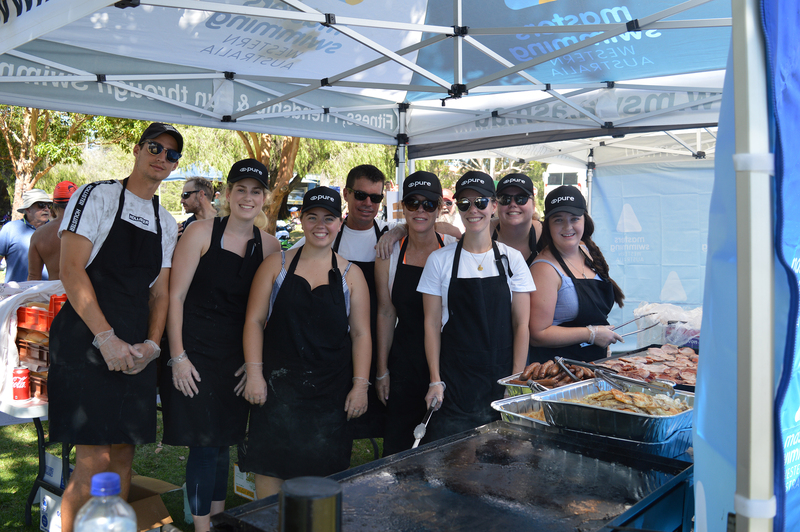 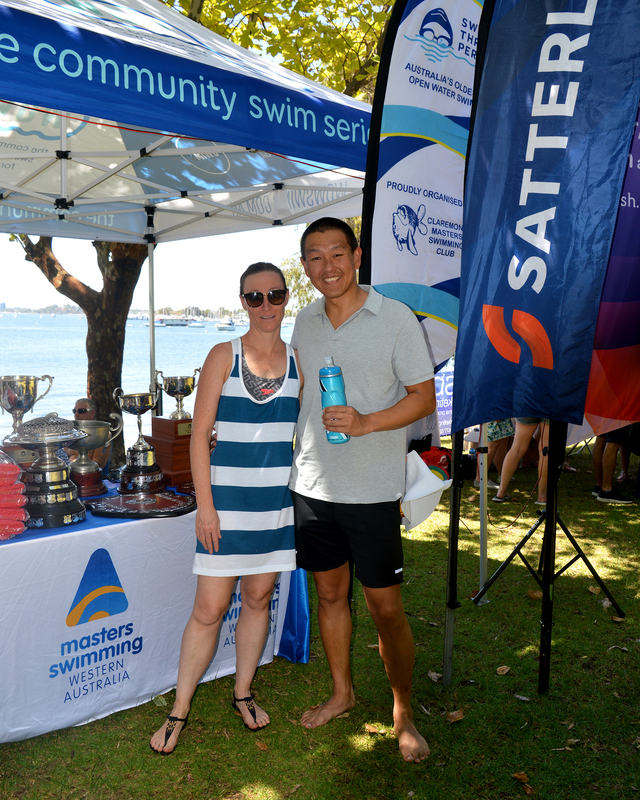 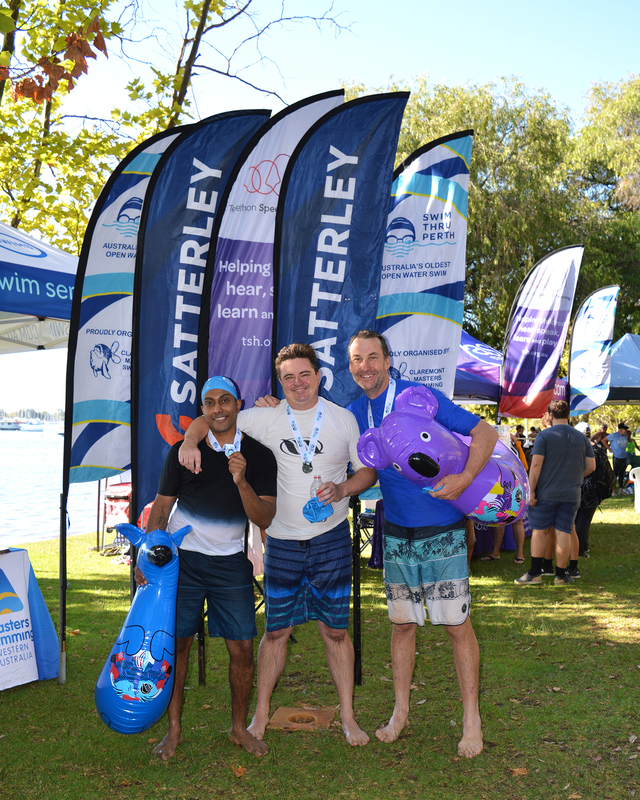 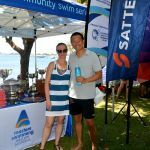 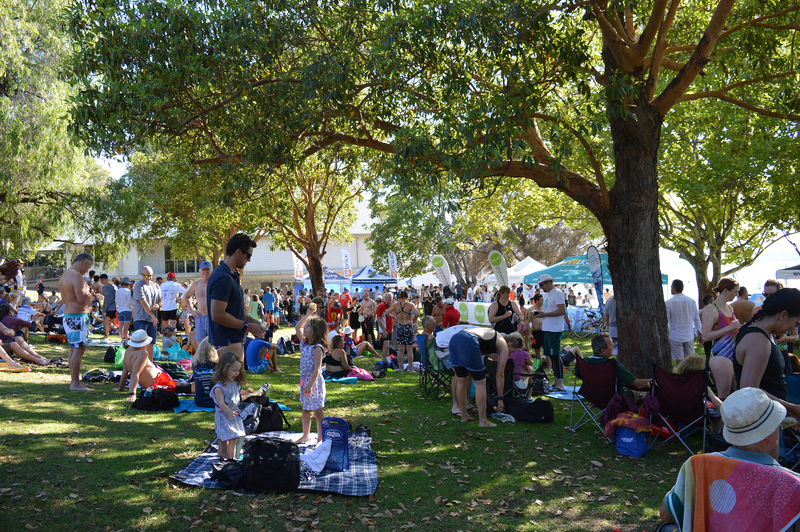 A very special thank you to the Claremont Masters Swimming Club and presenting partner, Satterley Property Group for naming us as this year’s event beneficiary. 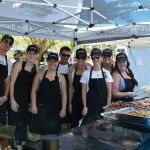 Funds raised from this event will help us continue to deliver intensive programs and services for families and children throughout WA.